U.S.-based Lucky Dragon Hotel and Casino LLC, promoter of the Asian-themed Lucky Dragon Hotel and Casino (pictured) on the Las Vegas Strip in Nevada, on Friday voluntary filed for bankruptcy. The request for reorganisation under Chapter 11 of the U.S. Bankruptcy Code was lodged in the U.S. Bankruptcy Court for the District of Nevada. The casino developer filed for bankruptcy less than a week before the property’s scheduled foreclosure auction on Thursday (February 22). According to the Las Vegas Review-Journal, the developer’s management said in bankruptcy papers that a sale through a bankruptcy court would be “the best opportunity … to preserve and maximise” the property’s value. The casino hotel, opened in November 2016, had aimed to cater in particular to Asian gamblers. 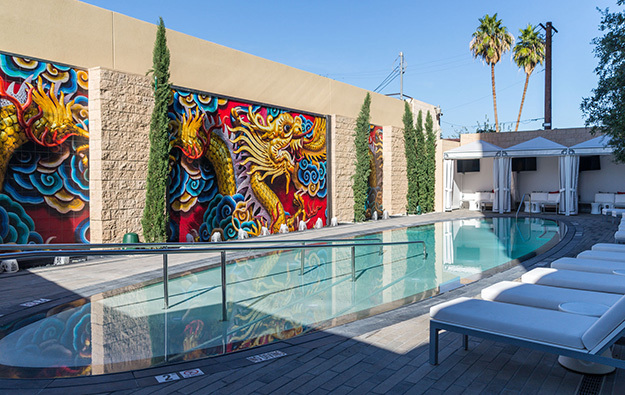 Lucky Dragon’s website says the property offers 204 hotel rooms and suites. The Lucky Dragon Hotel and Casino was served with a foreclosure notice in January. Property records seen by the Las Vegas Review-Journal reportedly show that Lucky Dragon developer Andrew Fonfa took out a US$90-million loan in 2016 to finance the construction of the scheme. According to the auction notice, US$48.9 million is owed on the loan, the newspaper had reported earlier. The Las Vegas Review-Journal latest report quoted Samuel Schwartz, one of the lawyers representing the Lucky Dragon Hotel and Casino LLC, as saying that the company did “not anticipate the bankruptcy filing will affect operations, as the hotel is still open and operating”. Mr Schwartz reportedly added that the casino resort was “working actively with its investment bankers and attorneys to refinance or restructure its debt”. The promoter of the property had announced in early January that it would “temporarily” close all gaming and restaurant operations for six months. The developer said the hotel would remain “fully operational” despite the closure of the gaming and restaurant operations.